Creamy Turkey Wild Rice Soup is Easy to Make and Easy to Freeze. This recipe is a great way to use leftover holiday turkey. Creamy turkey wild rice soup originated from my Thanksgiving turkey leftovers. 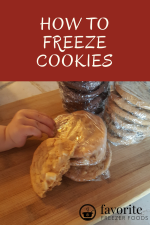 It’s simple to make, easy to freeze and a healthy way to feed your family on busy nights. Make your carrots small enough they are easy to eat and won’t take long to cook but not too small. Add olive oil or some of your broth to a frying pan and saute the veggies. You want the onion fully cooked and some bite left in the carrot. The carrot is going to soften more when frozen, thawed and reheated so don’t over cook it. Now take your stock pot and melt the butter with a med-high heat. Add the flour and whisk it well, it will combine easily. Keep whisking and add about a quarter of the broth, when that thickens add the rest of the broth. Whisking still, add the milk and let this come to a boil to thicken. You want it to coat a spoon but not get too thick. When it’s thick enough remove it from the heat. Add your cooked onion and carrot, diced turkey and cooked wild rice to the broth mixture. If you use canned rice be sure to drain it first. Taste for seasoning. Add salt and pepper to taste. If the broth you used was a little bland add some other herbs, oregano is good in this recipe. Your soup is ready to serve or cool before going into the freezer. Freeze your creamy turkey soup in hard plastic containers or freezer bags in useable quantities based on the size of your family. If you use freezer bags make sure to let them freeze flat so they take less freezer space, stack better and thaw faster. Laying them flat in single layers on a cookie sheet helps. Since it’s just me and my husband, I freeze in individual sized portions of approximately 2 cups each. This is enough soup for one person as a meal or for two people with a half sandwich, calzone or side salad. Use a larger size for a bigger family. This recipe makes about 12 cups of soup. Cook from frozen in a saucepan, add about 1/4 cup water to the pan to keep the milk and rice from burning. I use medium heat and leave the lid on the pan. 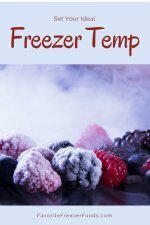 A 2 cup portion from frozen takes around 10 minutes to cook. Stir once or twice and your Creamy Turkey Wild Rice Soup is ready when it starts bubbling. No need to boil since it’s already cooked. You could also let it thaw overnight then reheat in the microwave or on the stove. Larger portions take longer to thaw. How can I make this even healthier? Wild rice is full of nutrients to go with it’s great flavor so use it if you can find it. If you use canned rice read the label before you buy. Don’t buy rice with preservatives or ingredients you can’t pronounce. The canned rice I bought had rice, water and salt, nothing else. Broth is essential to the flavor in this recipe and good for you. Plus, broth made with bones helps us utilize protein more efficiently. For the most nutrients use homemade broth with bones and vegetables not caned or boxed store bought broth. Add more vegetables. Consider what will freeze well and mix it into the master batch or add when ready to serve. Mushrooms would be delicious or try one of your favorite veggies. How can I make this even cheaper? Wild rice can be pricey which is why I recommend the canned, pre-cooked rice. It was the best deal in my grocery store but yours might be different. Using dry rice and cooking it yourself is usually cheaper. However I couldn’t find a package of dry wild rice that wasn’t seasoned or mixed with another rice. Consider a mix of wild and brown rice, which seems to be the most common way wild rice is packaged anyway. Brown rice could also be used and still has a nice nutty flavor. I don’t recommend white rice if you can avoid it. The hull with all the nutrients has been taken off and it doesn’t add any flavor. Use chicken broth if your out of turkey broth. Homemade broth is the best option. The flavor doesn’t have the same gaminess but still works fine. Chicken meat instead of turkey is fine too. Return from Creamy Turkey Wild Rice Soup to the homepage of Favorite Freezer Foods.